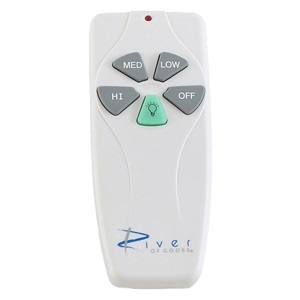 River of Good’s ceiling fans include a receiver and a remote control. 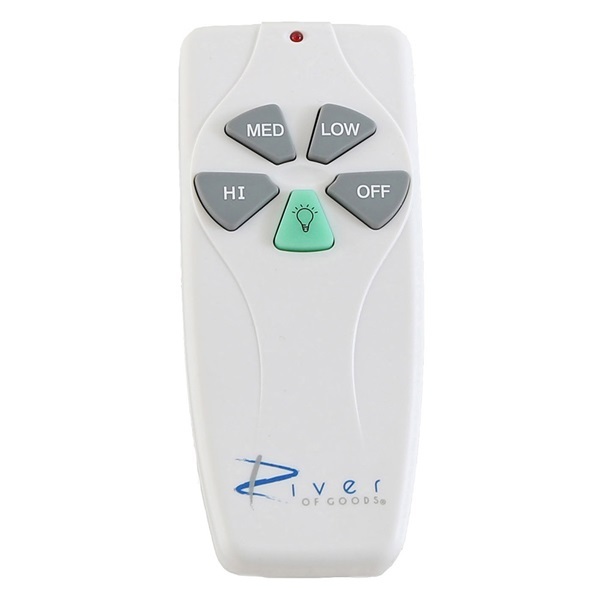 To sync the replacement remote with the existing ceiling fan receiver, simply set the four (4) dip switches in the remote (located in the battery compartment) to the same dip switch settings found on the receiver (or simply copy the dip switch settings from the original remote). Install the provided 9V battery. Your replacement remote and receiver are now synced. To control the brightness and on/off capability of the lights, use the green button. Want to adjust the fan settings? Simply use the LOW/MED/HI/OFF buttons.